Receive all your protein and supplements direct to your door, completely free of charge when you basket totals £50 or more. Where do I use my IdealFit voucher code? Copy a code from us and follow the link to the IdealFit website. Browse for your products and click ‘Order now’. Then choose your size and colour and click ‘Add to basket’ on the things you want. Then click to view your basket and paste your discount code in the ‘Got a discount code?’ box at the bottom of the page. The click ‘Add’ to redeem your savings. IdealFit aim to empower real women to earn their body and health goal -whatever that may be. IdealFit tailor, their products and services to encourage and celebrate females in fitness and aim to encourage women in sport to reach their goals. That’s exactly why they’ve created all their products by women, for women. This vast array of products includes clothing, such as tops, bottoms and sports bras that feature a seamless fit, mesh detailing and squat proof material to keep you feeling comfortable and confident as well as nutritional products such as protein, BCAAs, pre-workout supplements and bundles. As well as this great selection of products, IdealFit also offers online challenges from different female trainers. These challenges are designed to push you, they come with free trial options and different time limits so you can challenge yourself every day for 15 days up to 6 weeks. 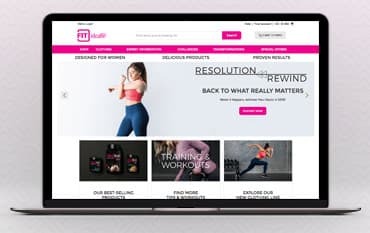 IdealFit also feature a transformations section on their page to help keep you motivated, as well as a handy blog tab that provides fitness tips and tricks and exclusive information on upcoming offers and giveaways. IdealFit offers a risk-free guarantee! This means you can try IdealFit 100% risk-free, with no worry about wasting your money. IdealFit is confident about the power of their products. After years of developing their system, they know it’s going to work for you. That’s why if you are unsatisfied with any product in any way, you can simply return it to IdealFit and they’ll give you a refund on the purchase price up to 1 year after your order date. The IdealFit special offers section is a great way to grab a bargain. IdealFit knows that if you’re working out a few times a day, your selection of gym clothes can find it hard to keep up, barely making it out of the washing in time for your next session. This is why IdealFit offers a great special offers section with loads of discounted products, allowing you to stock up on fitness wear for less! Keep your gym wear stocked and replenished with stunning pieces that are both stylish and supportive. You can also save money on a huge variety of nutritional products such as Ideal Lean protein, amino acids, shake bottles, pre-workout powders and more. IdealFit’s range of clothing is designed with high-quality fabrics that will give you the support you need to take your results to the next level. Enjoy stylish gym wear that not only looks good but is practical too, allowing you to feel confident and supported every time you work out. The clothing available at IdealFit guarantees a seamless fit that will ensure the optimum level of performance. The range of clothing also features mesh detailing that’s super trendy as well as squat proof material that enables you to stretch and bend any way you want without your leggings or bottoms becoming see through. Shop for tops, bottoms and sports bras or complete your look with a fitkit combination that allows you to save up to 28% off. Majority of the clothing available at IdealFit is already discounted but if you want to save even more money on your fitness wardrobe then shop with a discount code from us. Free Standard Shipping is available on orders over £50 and shipped within the United Kingdom. Shipping rates for many items are weight-based. The weight of any given IdealFit product is found on that item’s detail page. You may return your order within 1 year of delivery for a full refund of the product purchase price. IdealFit does not refund shipping costs, however, if the return is a result of their error, they will gladly pay the return shipping costs. Chat: The best way to contact IdealFit is via the Chat which can be found on the bottom right of your browser window on their website. Simply enter your name and email address and one of the advisors will be with you within no time. Email: You can also contact IdealFit via their message centre within your account area (please note, you will need to login before you can send a message). IdealFit is a leading fitness retailer designed by women, for women, to offer the best health and fitness supplements, gym clothes and sports accessories to help aid in your performance and fitness goals. IdealFit aims to help, support and empower you in your fitness journey, offering all the equipment, nutritional products and services that you could ever need. All their products already come with affordable price tags but if you add an IdealFit discount code to your order, you can enjoy even better prices and fantastic discounts on your purchases too.